Handle Chargeback Disputes – For a merchant, true cost for a chargeback is sometimes twice bigger than the cost of the product or service. This is why merchants are advised to keep chargeback under control. It is also true that you cannot remove chargeback entirely from your business. If you handle chargeback dispute efficiently then you will surely notice some improvement. However, sometimes, merchants need some assistance with chargeback management. This can be done by hiring a chargeback management firm or creating a chargeback management unit in your company. If you wish to handle chargeback dispute in your business then you need to start by knowing the reason behind the chargebacks. Not just that, you are also required to educate yourself with the chargeback reason codes of the various credit card networks such as Visa, MasterCard, American Express, and Discover. Chargeback reason codes are designed by the card networks to resolve the various chargeback cases without any hassle. If you are a merchant and you got a chargeback then the first thing you need to do is check the chargeback reason code. After that, you can start your research for that specific chargeback and then fight against it, if necessary. Once you know about the causes of the disputes, you need to work on resolving them. For that, a merchant can either accept the chargeback or fight against it. If you know that the chargeback is caused due to your mistake, you need to simply accept the chargeback. On the other hand, if this a case of chargeback fraud then you need to file Representment and challenge the case. Transaction Receipt – Mode of Payment and Payment Processor play an important role. If the transaction is carried out using the services of a payment processor then you can simply contact the payment processor to make sure that there are no payment related issues. Authorization of Transaction – In order to complete a transaction, the merchant should have proper authorization from the customer and issuing bank. If a merchant completes transaction without proper authorization then the chargeback is valid. This means if you are a merchant then make sure you have the authorization before completing the payment process. Delivery Related Details – If your business also offers delivery services to customers then you need to put special attention as many chargebacks are caused due to bad delivery service. For that, make sure that the delivery is timely and the delivered product has no defects. Terms and Conditions – Every business has some terms and conditions and you need to tell your customers about these terms before the purchase. This resolves the cases of friendly frauds in the business. 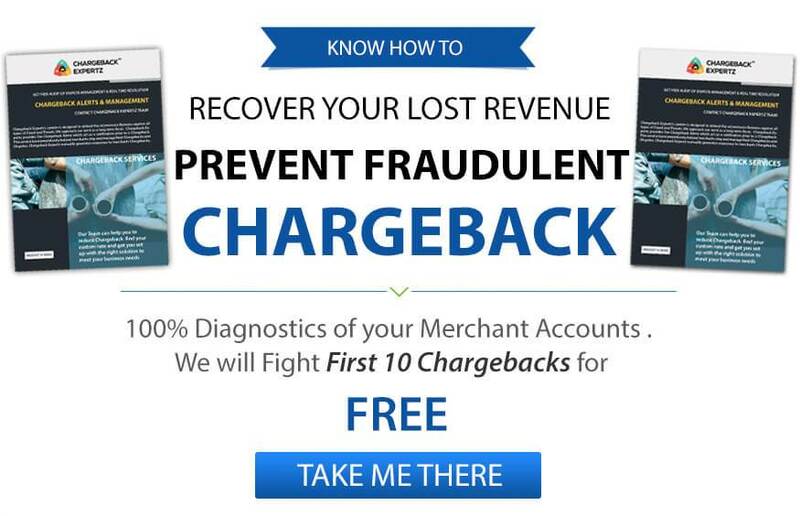 A Chargeback Representment can be tricky for most of the merchants. You need to add all the important details to it without making it more bulky or difficult to understand. Compelling evidence is necessary. If you are going for Representment then you must have evidence against the filed chargeback. If this is the case then you would have to focus on that evidence. Other than that, you need to provide details of the transaction, including delivery delated information, if any. Never prepare a really bulky Chargeback Representment report. Just add the required minimum information for ease to understand. Sometimes, it can be too much for the merchant to handle chargeback dispute and the ongoing business at the same time. If you are facing a similar dilemma then we recommend you to hire a chargeback management firm. They can help you with the chargeback management, create strategies to minimize chargebacks and create chargeback alerts. Such services are provided by Chargeback Expertz. For that, you can call us at +1 855-465-4723 or visit charegbackexpertz.com and check our services or you can dial our number to get an expert to assist you.